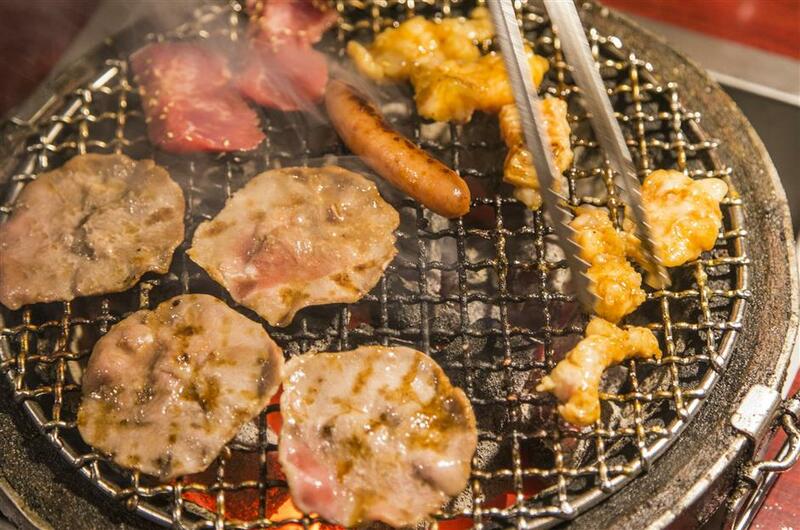 SHANGHAI foodies traditionally see summer as the season for barbecues, yet food safety at the grills has become a serious concern. Recently, the Shanghai Food and Drug Administration posted a series of health and safety advisories through its WeChat account to avoid people falling sick because of delicious kebabs or sizzling steaks. The FDA suggests electronic roasters as a healthy substitute for a charcoal fire. Conventional barbeque methods, which expose food to extremely high temperatures and place food directly over the flame, can trigger chemical reactions that produce carcinogens. Benzoapyrene, from charcoal smoke, has been linked by laboratory experiments to lung cancer and fetal deformity. Electronic roasters, in contrast, allow cooks to control the temperature and prevent burning the food, thus lowering the risk of carcinogens. Experts also recommend cooking food thoroughly and evenly. Kebabs slightly charred on the outside and rare on the inside might look mouth-watering, but bacteria such as salmonella thrives in under-cooked meat. Diarrhea and vomiting should not follow a gourmet experience. The FDA warns consumers to avoid unlicensed roadside vendors and choose barbecue restaurants that have all the required certificates and meet sanitary standards. Look for a green smiley face on the bulletin board, which in Shanghai indicates good food safety conditions. Consumers can also call the 12331 food safety hotline. The FDA also has some tips for those barbecuing at home. Fresh ingredients not only taste better, but also make food poisoning less likely. So pay attention to that expiry date on supermarket food. When preparing for the barbecue, cutting the ingredients into small pieces and storing in the fridge or freezer can help prevent contamination. Keep utensils clean and be careful with condiments. Finally, and while this may meet with disapproval from some barbecue fanatics, the FDA warns intense, brief heat can be unhealthy.